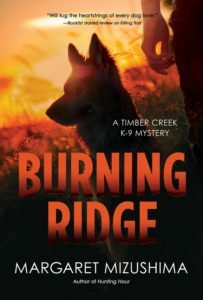 Margaret Mizushima is pleased to announce the Sept. 11 release of Burning Ridge, the fourth episode in her Timber Creek K-9 Mystery series. Colorado’s Redstone Ridge is a place of extraordinary beauty, but this rugged mountain wilderness harbors a horrifying secret. 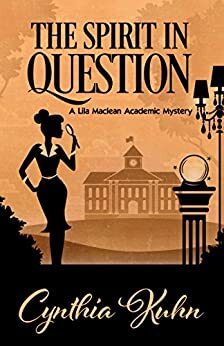 When a charred body is discovered in a shallow grave, officer Mattie Cobb and her K-9 partner Robo are called in to spearhead the investigation. But this is no ordinary crime—and they soon become the targets of a ruthless killer. Burning Ridge is available at bookstores and on most online booksellers.